She told MPs Britain must do more to support "vulnerable" countries and to counter the "poisonous and repugnant" ideology of so-called Islamic State. It comes after bomb attacks in Brussels left 31 people dead. Some 260 people were injured, including four Britons. 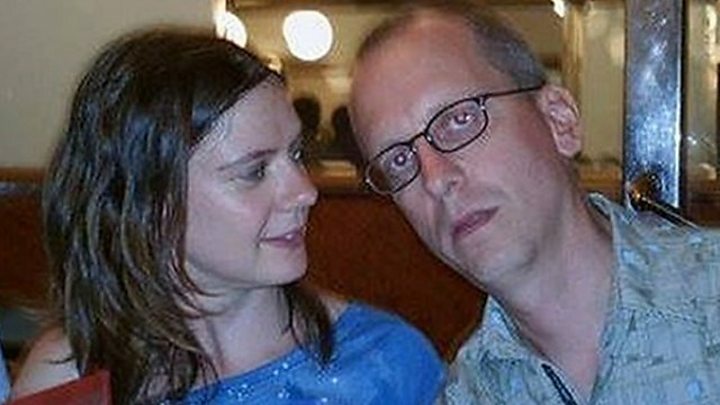 Another Briton, David Dixon, from Nottingham, is missing. The IT programmer, who lives in the Belgian capital with his partner and son, went to work on the metro, but his family have not heard from him since. Of the injured Britons, three, all men, remain in hospital, while the fourth, a woman, has been discharged. Twin blasts hit the city's Zaventem airport at about 07:00 GMT on Tuesday. Another explosion at Maelbeek metro station near EU headquarters happened an hour later. Two of the men who carried out suicide attacks have been named as the brothers Khalid and Brahim el-Bakraoui. IS has claimed it was behind the bombings. Eleven people died at Brussels airport and 20 at the Maelbeek metro. Mrs May said the decision to tighten security was not "in response to specific intelligence", but she said the UK must remain "vigilant". "The police and security services will continue in their dedication to keeping people safe and the public should remain alert." She continued: "Together with our allies around the world we must act with greater urgency and joint resolve than we have before." Shadow home secretary Andy Burnham said: "This is the moment not for division but for maximum unity amongst peoples of all faiths and none." He raised concerns about resources for UK Border Force, which he said had endured "years of cuts and is already stretched to the limit", and questioned whether police outside London had sufficient firearms capability. Earlier, Lord Reid, who was Labour defence secretary until shortly before the 7 July 2005 bombings in London, told the BBC's Victoria Derbyshire programme a terror attack in the UK like that in Brussels was inevitable. "It will happen here because the terrorists only have to get through once," he said. Elsewhere, Rob Wainwright, director of EU law enforcement agency Europol, told the BBC that despite the attacks, cross-border police cooperation in the EU "brings daily operational benefits to the UK". He was responding to comments by the former head of MI6 Sir Richard Dearlove, who wrote in Prospect magazine that "the cost to Britain would be low" from a security perspective if it were to leave the EU. Several of London's major landmarks, including the National Gallery, Tower Bridge, the London Eye and Trafalgar Square's fountains displayed the colours of the Belgian national flag on Wednesday evening in tribute to the victims of the attacks. Many government buildings in the capital are already flying the Union flag and the Belgian flag at half-mast. On Thursday, a 25-metre silk flag will be placed on the central staircase in Trafalgar Square ahead of a vigil organised in partnership with the Belgian Embassy between 18:00 GMT and 22:00. The Mayor of London, Boris Johnson, said: "The scenes in Belgium were truly appalling and it is important we pay tribute to the victims, as well as show our solidarity with the people of Brussels. "They have the sympathy of every Londoner and our thoughts will be with them as they do their best to recover from this despicable atrocity." One British eyewitness described being caught up in the blasts. 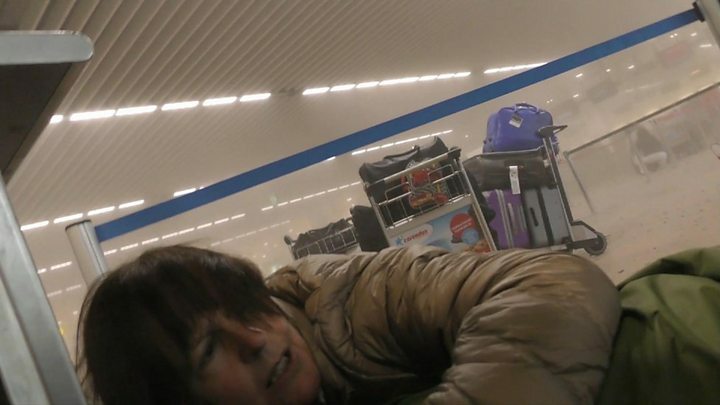 Pauline Graystone cowered on the floor of the check-in area at Brussels airport with her husband and daughter. "There was a huge bang just behind us. I said, 'What's that?' to my husband and he knew instantly it was a bomb so we just dropped. "We were huddled there and suddenly there was another even bigger, louder bang that seemed even closer... then we really knew this was serious. "We could smell burning and lots of the ceiling was falling down. It was just total confusion so we just stayed put and didn't move and hoped there wasn't going to be a third bomb." The Foreign Office is warning Britons travelling to Brussels to be "alert and vigilant and stay away from crowded places". Zaventem airport will remain closed until at least Friday and flights between there and the UK are disrupted. Passengers are being advised to contact their travel operator. Eurostar services are operating normally on Wednesday, but passengers are being advised to check.